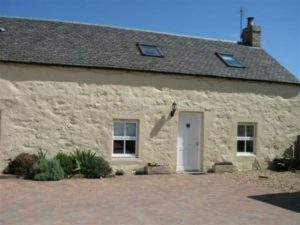 The Bothy is a two bedroom self catering cottage that comfortably sleeps 4. 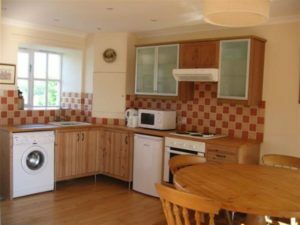 It is ideal for a family or two couples with a lovely living space with two high back chairs, chesterfield, television and log burner. 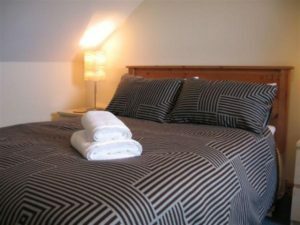 Upstairs lies the spacious master bedroom with double bed, bedside tables, chest of drawers, mirror, wardrobe and ample room for a cot. The bedroom has a fantastic view out over the local hills. 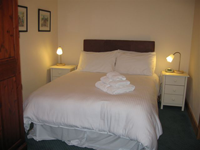 The second bedroom is downstairs with a double bed, bedside tables, wardrobe, heater and courtyard view. 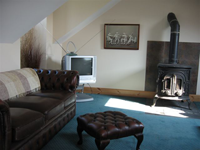 Upstairs is the living room where you can relax in front of a warm log burning stove after a day of activities. The logburner heads the room next to the TV/DVD, and the comfortable leather sofa and chairs help you relax after a day of activities. The outside decking area is reached through the back door. The decking area has a table, chairs and a BBQ which is great for both breakfast in the morning sun and the classic afternoon BBQs with the whole family. 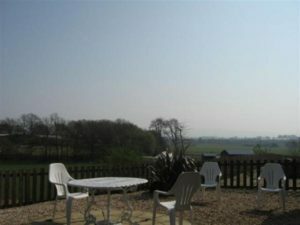 The decking has sun until around 3pm and looks out over the Sidlaw Hills, Strathmore Valley and our stables. 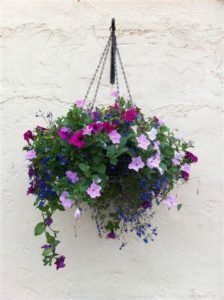 Weekly rental starts on Saturday at 4pm and finishes on the following Saturday at 10am.